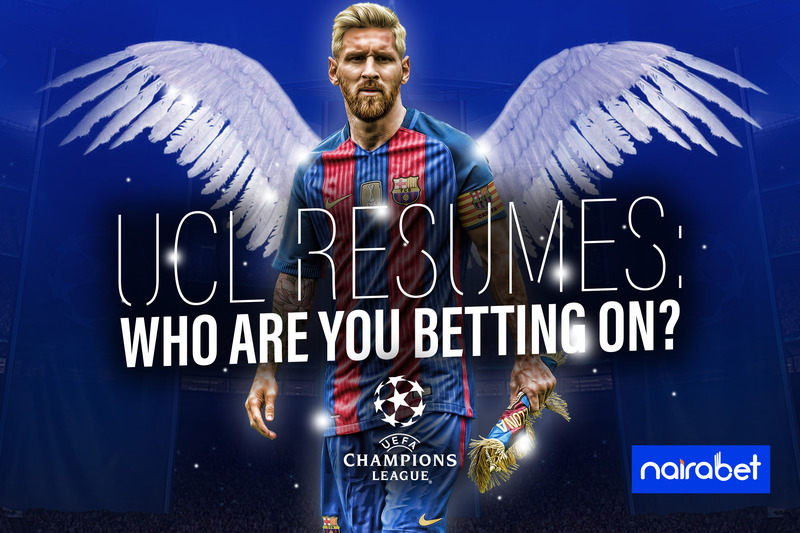 UCL Resumes: Who Are You Betting On? This February, Valentine is coming with a lot of football love. It’s not as if we’ve not had plenty of love from the round leather game in recent times. The events of last weekend proved again how lovely football is. However, Champions League football is different. The caliber of players is top-notch and the quality of football is largely unmatched anywhere on the planet. This is the reason why the audience is a global one, the UCL conversations draw participants from the world over and it has the best games to bet on. Next week, the UCL Round of 16 games will commence as the journey to the final at the Wanda Metropolitano Stadium continues. The biggest names in Europe will stand as the Champions League anthem is played. As you anticipate the action on the field, are you getting ready to place your bets? If you have, that’s good. 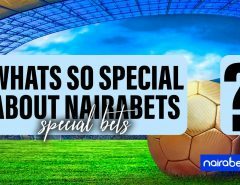 We hope you enjoyed the massive odds on offer at NairaBET.com. If you haven’t, the big question is who are you betting on? Just in case you missed the draws, these are the first leg games to be played. Which of these teams are you backing to win take a first-leg advantage into the second leg? Eight games are not too much to overwhelm you. The question is what predictions you will make for each game. For instance, PSG’s performance may (or may not) be influenced by the absence of Neymar Jr. The venue for the final is the home turf of Atletico Madrid. This can give them extra incentive going into all their remaining games in the UCL (although it’s no guarantee that they will win it. Just Ask Bayern Munich against Chelsea). Schalke 04 may look like underdogs against Pep Guardiola’s side. But we all know how funny football is. 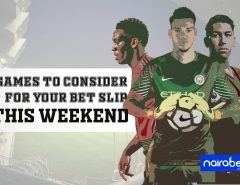 Would you rather go for the goals than predict a straight winner? Spurs taking on Dortmund will be one of the most exciting games of the round. The same can be said for the game between Lyon and Barcelona too. All four sides did not have any difficulty scoring during the group stages of the competition. Do you think their prolific form will continue? Liverpool remains unbeaten at home in the Premier League for only-God-knows-how-long. But they’ve suffered defeat on the same turf in the Carabao Cup and FA Cup competitions this season. Can they hold their own against the Bavarians? How will the first leg between AS Roma and Porto end? 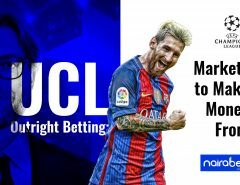 Click here to make your predictions and earn some extra cash. There are eight games to choose from. Who are you putting your money on? Drop your comments and share your thoughts with us.